The United Kingdom Homecare Association (UKHCA) is a not-for-profit body representing over 2,000 homecare providers. It wanted to invigorate public support and find a new way to raise awareness of the pressure on funding for homecare services. In the lead up to the Government’s Comprehensive Spending Review (CSR), the UKHCA wanted to achieve 10,000 signatures on their official Government petition to seek a Government response to – all within a tight timescale of six weeks. With a goal of achieving 10,000 e-petition signatures in six weeks, creating an intensive social media strategy to maximise audience reach was crucial. We created a Save Our Homecare logo for this ‘hearts and minds’ campaign which contained key messaging and emotive identity making it instantly recognisable. The campaign primarily targeted Facebook as it was identified as the most popular channel to reach the target audience – people working in the NHS, the general public and supporters of health charities. Interaction was encouraged through a dedicated Facebook campaign hub populated with real-life homecare stories, videos and easily shareable images. 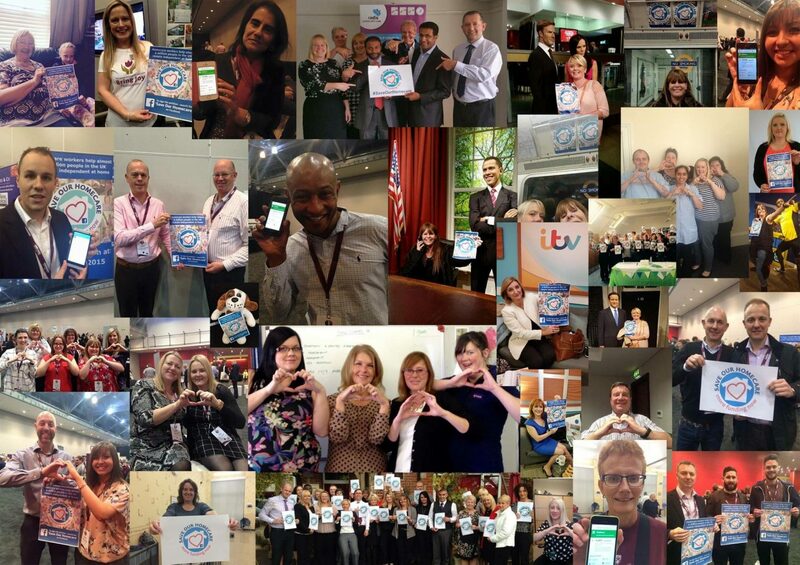 User generated content was driven through encouraging engaged organisations and individuals to take selfies with the Save Our Homecare logo. Facebook advertising through promoted posts was used to further 2 drive engagement and petition signatures, with constant monitoring and refinement allowing us to maximise engagement and cost-effectiveness. Twitter was identified as a secondary social media channel and a dedicated account was created to share campaign news with target influencers and figureheads who may not use Facebook. More than 11,000 people signed the e-petition during the initial six weeks, exceeding our target by 10%. The Save Our Homecare Facebook hub reached 350,000 people, more than double the target of 150,000, and delivered 7,000 direct visits to the petition, 60% of the total signatures. The Twitter channel gained 800 followers during the campaign and drove 1,022 visits to the petition. Due to the success and to sustain the momentum of the campaign, it was extended to a second phase which took the number of petition signatures to 22,000, exceeding our target by 2,000. The cost-effective campaign surpassed all set objectives within the budget, delivering a clear business outcome for the UKHCA by generating public support through petition signatures. This well-planned campaign with measurable results enabled the UKHCA to enter new territory - in both 'hearts and minds' campaigning and, at a technical level, in introducing us to Facebook as a cost-effective channel.